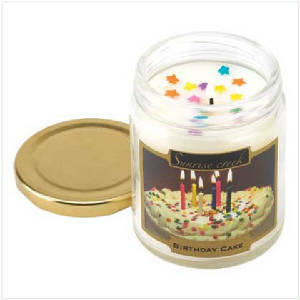 Highly scented jar candle bears the mouth-watering fragrance of fresh-baked frosted cake, taking you back in time to the magical birthday celebrations of your childhood. Brings back the very best of life’s memories! 45 hours burn time. 7.3 ounce.Soy blend wax with glass lidded jar. 2¾" diameter x 3½" high. No holiday celebration is complete without a scrumptious sip of eggnog! 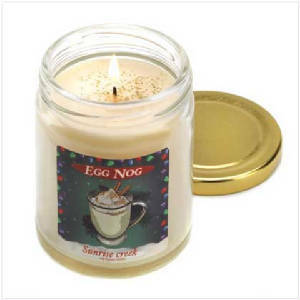 The delightful scent of this candle is a sweet reminder of this special time of year. Burns up to 45 hours. 7.3 oz. Made in USA. Soy blend wax with glass lidded jar. 2 3/4" diameter x 3 1/2" high.